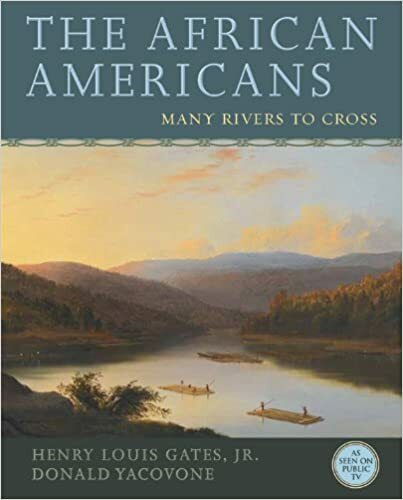 The African Americans: Many Rivers to Cross is the companion book to the six-part, six-hour documentary of the same name. The series is the first to air since 1968 that chronicles the full sweep of 500 years of African American history, from the origins of slavery on the African continent and the arrival of the first black conquistador, Juan Garrido, in Florida in 1513, through five centuries of remarkable historic events right up to Barack Obama’s second term as president, when the United States still remains deeply divided by race and class. The book explores these topics in even more detail than possible in the television series, and examines many other fascinating matters as well, guiding readers on an engaging journey through the Black Atlantic world—from Africa and Europe to the Caribbean, Latin America, and the United States—to shed new light on what it has meant, and means, to be an African American. By highlighting the complex internal debates and class differences within the black experience in this country, readers will learn that the African American community, which black abolitionist Martin R. Delany described as a “nation within a nation,” has never been a truly uniform entity, and that its members have been debating their differences of opinion and belief from their very first days in this country. The road to freedom for black people in America has not been linear; rather, much like the course of a river, it has been full of loops and eddies, slowing and occasionally reversing current. Ultimately, this book emphasizes the idea that African American history encompasses multiple continents and venues, and must be viewed through a transnational perspective to be fully understood.